As the first manufacturer in the world, Callies developed a unique combination of mobile and stationary high-pressure firefighting systems technology in the early 2000s. For large industrial enterprises with their own factory fire departments, semi-stationary Callies high-pressure feed systems offer a cost-efficient alternative. The potential for savings is enormous, since it is not necessary to maintain a separate pump center, including water storage, for each system. Recurring expenses for maintenance and repair are thus also minimized. 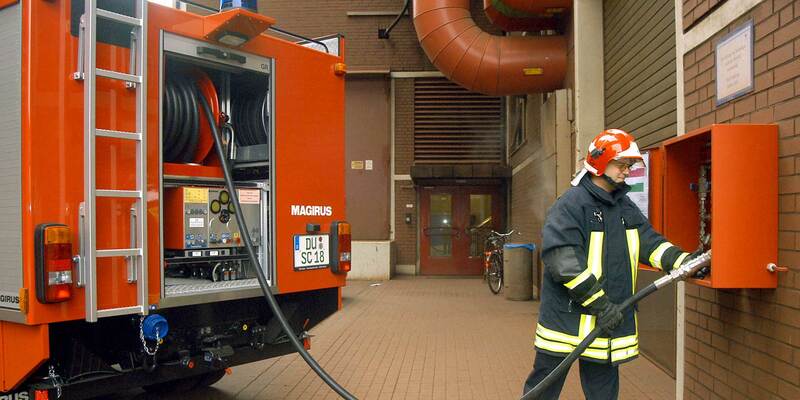 In this version, the pump technology required for feeding stationary open high-pressure piping with variable capacities between 25 and 300 liters (7–79 gallons) per minute and a system pressure of 130 bars (1,885 psi) is mounted on a factory fire department vehicle. Depending on the vehicle, it may be connected to the power take-off either by gimbal or hydrostatically. Callies fixed-installation systems are designed and tailored to customer specifications. The combination of mobile and stationary HPWM firefighting technology for factory fire departments is unique. At the core of this system is the Callies high-pressure pump system installed on a fire truck (tank or auxiliary vehicle), with a variable pump capacity of 25 to 300 liters (7–79 gallons) per minute and a constant system pressure of 130 bars (1,885 psi). A reel at the rear of the vehicle allows feeding the extinguishing agent into the stationary piping of HPWM fire-extinguishing systems, making multiple separate and costly pressure-boosting and water-storage systems for firefighting redundant. Rapid-attack reels with up to 100 m (328 ft.) of hose and Callies Jet Nozzles in the equipment rooms complement manual firefighting efforts. In the event of an alarm, the factory fire department is able to feed the extinguishing agent into the stationary piping and nozzle system via a quick-lock coupling and a wall-mounted feed box. If several sections are supplied from the same feed point, the manual opening of one or more section valves will release the extinguishing agent in the relevant sections only, while sections unaffected by the fire will be spared. In addition to fighting fires with stationary fire-extinguishing systems, there is an option to supply wall-hydrant boxes installed in the building. Callies Wall-Hydrant Boxes are equipped with stainless-steel reels, high-pressure jet nozzles, and rapid-attack hoses, allowing firefighters to attack the fire directly from inside. Safety switches with the corresponding valve technology are optional for pilot-controlled systems. 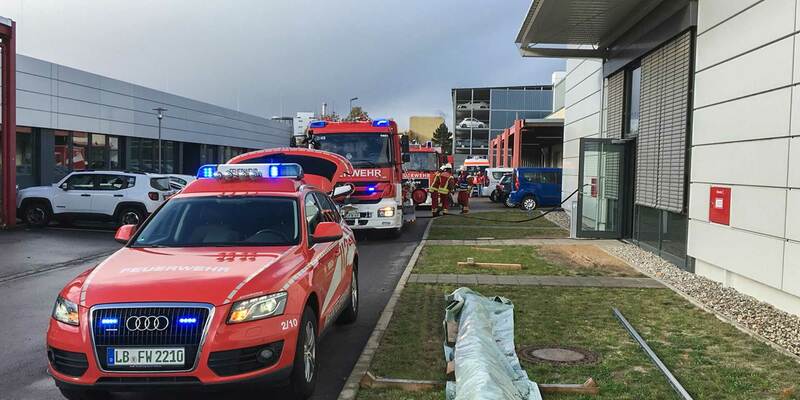 In addition, mobile test-station fire-extinguishing systems may be integrated flexibly at handover points.